The summer holiday season is nearing its end, which means that international airlines will try to entice off-season travelers who are looking for great deals. If you count yourself among them or you’re someone who likes to go the extra mile and carefully research all available options before committing to one, our list of the best airplane travel apps and mobile-friendly sites is here to help you find the best international airline. When flying business class, you have every right to expect every seat to be comfortable, so it’s understandable if you just let the airline pick one for you. But when you’re flying on a budget, the difference in comfort between individual seats can be huge. So, how can you know beforehand which seats are the best and which are to be avoided? You download Seatguru to your iPhone to access over 10,000 seat maps from around 125 airlines. Just tell the app the airline you’re flying with, the flight number, and the date of the flight, and it will automatically find the right seat map for you. Every seat map contains invaluable insights from tens of thousands of passengers who use the app every month, submitting helpful photos and reviews to help other fellow travelers. Seatguru is free, and it’s powered by TripAdvisor, so you know you can depend on it. SkyTrax is our favorite place for airline reviews. The website has been online since 1999, providing accurate travel information and helpful airline reviews to millions of travelers from around the world who visit the site every year to find which airlines were voted the best and which are hated the most. 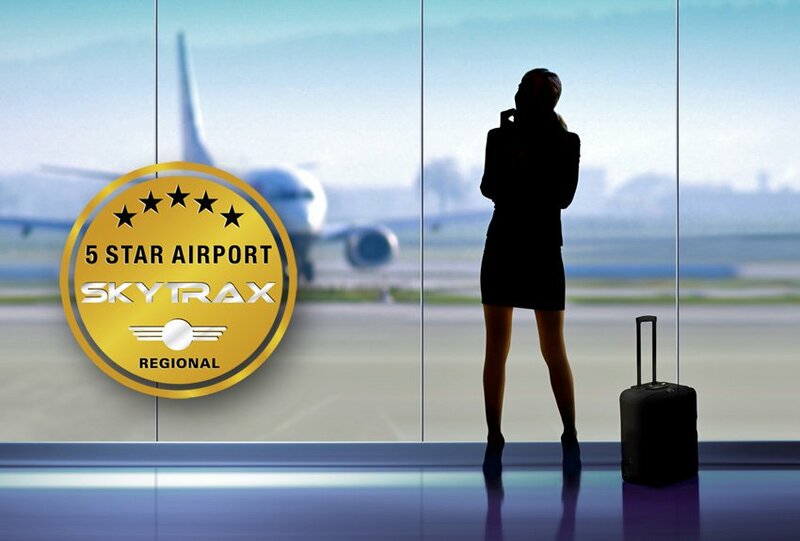 SkyTrax regularly awards airlines which offer excellent customer service, the best dining, the best economy-class seats, the best business-class seats, the best first-class seats, and more. Registered users can share their own reviews, and airlines and airports can directly respond to them to show they care about their customers. 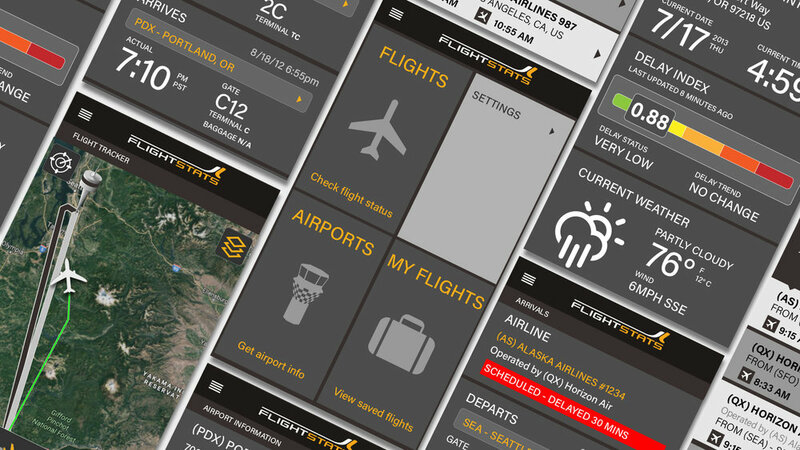 SkyTrax doesn’t have a dedicated mobile app, but the website is optimized for all mobile devices. Nobody understands the needs of airplane travelers better than airplane travelers themselves do, and nobody has more experience with airplane travel than people who actually travel by plane on a regular basis. 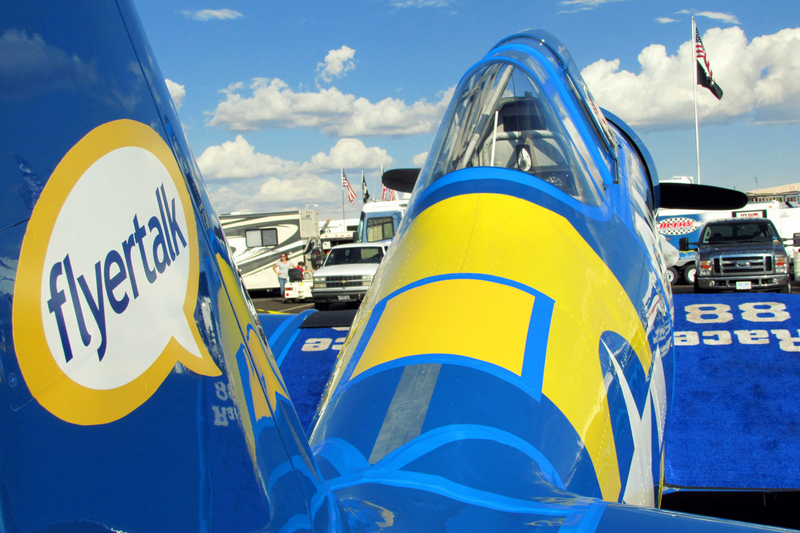 If you want up-to-date information on airlines, airports, travel destinations, and just about everything else that’s even remotely associated with airplane travel, FlyerTalk is the place to be. This huge community-driven website has a large forum section where travelers from around the world exchange information and tips and tricks, helping one another travel cheaper, safer, and more comfortably. You can either passively read without participating, or you can register a user account and share your own travel experience with others on the site. If your job forces you to spend hours at airports, you may as well make the most out of your time there. LoungeBuddy makes it possible for all travelers to view, book, and access airport lounges around the world in seconds. The app has over 800 of the busiest and most popular airports in the world, and the developers keep adding more on a steady basis. You can filter lounges by amenities, look at photos, read reviews, and even purchase lounge access in seconds with Apple Pay. LoungeBuddy is free, and it supports all Apple devices running iOS 9.0 and newer. 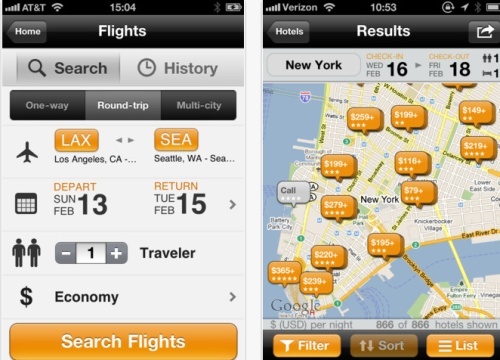 You can spend hours searching hundreds of airline sites to find a good deal, or you can download Kayak to your iPhone and search hundreds of airline and travel sites at once. Just pick a date and destination and Kayak will instantly show you thousands of results. You can then refine the results using search filters based on departure times, amenities, and a lot more. Kayak also works as your personal travel assistant, helping you organize your trip and stay up-to-date with real-time status updates and notifications. Kayak works with the Apple Watch, so you don’t even need to take your phone out of the pocket to see when your plane is leaving. FlightStats is a real-time flight status and airport tracking application that allows you to watch flights as they move across the world. With FlightStats, you won’t depend on airports for flight status updates—you can monitor your flights yourself and get rid of that all-familiar anxiety so many travelers experience as they spend hours staring at the airport arrivals departures board, hoping for positive change.